...a mother and a daughter who dreamed of having their own boutique, and then an unexpected random e-mail that dropped it in their hands! Jokingly, Renee and her daughter Jena had always talked about starting their own fashion boutique. But when Jena read an e-mail seeking an entrepreneur interested in opening their own Apricot Lane Boutique in Peoria, they both knew their dreams were about to come true. With Jena's passion for retail and fashion, Renee's sales and marketing background, and Rod's (husband/father) passion for business, Apricot Lane went from a dream to reality. Welcome to our boutique! Whether you’re ready to do some serious shopping or just stopping by to browse our latest selections, we’ll make you feel welcome. We pride ourselves in making Apricot Lane a comfortable place for everyone to shop! You will find nothing but the best customer service here. At Apricot Lane, we cater to our customers’ needs. 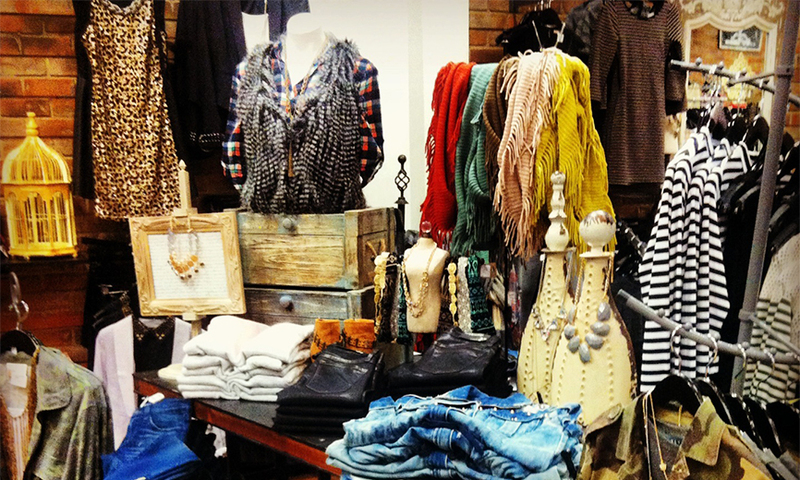 Bring in a favorite top, and we’ll help you find the perfect accessories to give you a whole new look. Not sure just what you’re looking for? Let us make a few suggestions and help you find something that expresses your unique personality. As a mother/daughter team, we know it’s sometimes a challenge to shop together and find something you both like. So, we’ve created a new, fresh, and fun shopping atmosphere filled with a mix of styles and designs that both moms and daughters will love to wear! In addition to our passion for shopping, we look forward to supporting and working with local organizations through Apricot Lane.